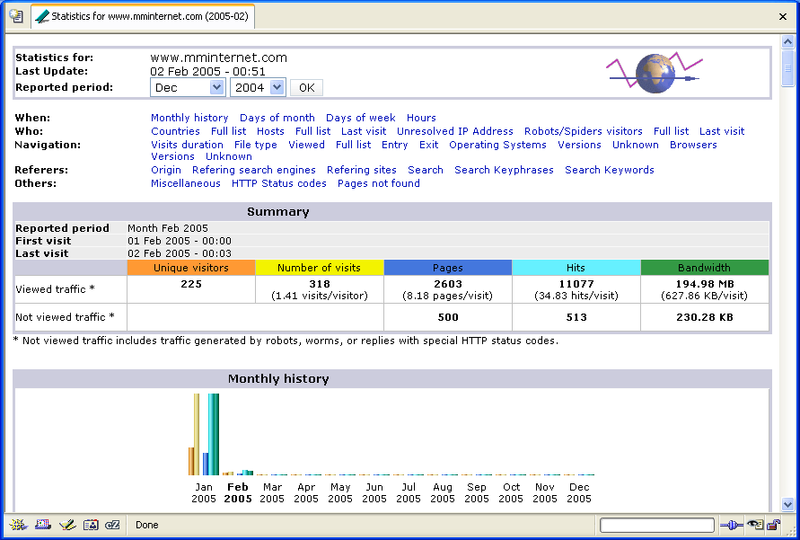 This document describes how to use WS_FTP, an excellent FTP program from IPSwitch, with MM Internet's web hosting service. If you signed up to use FTP to access your web hosting account, we highly recommend WS_FTP as an FTP program to access your site. WS_FTP is available in both a Pro version and a light edition (LE) that is free. You can download either version from www.ipswitch.com. The first step is to connect to your web site via FTP. Press the Connect button in the lower left corner. Type in your web site as the host name, use Unix (standard) as the host type, and use the user id and password that we sent you after you signed up. Account is not necessary. Click on OK to connect to the server. When you're connected, you'll see your web site files on the right, and your computer's hard drive on the left. You can transfer files by selecting them from the left and either dragging them to the right or by pressing the right arrow in between the windows. You can navigate through directories by double clicking on them. You may find it necessary to change the Unix permissions of a file in your directory. This might be necessary if you have a script that is writing data to a file, or if you have a CGI script that you need to mark as executable. To change permissions through WS_FTP, right click on the file, and select chmod (UNIX). You'll be shown a dialog box with columns for Owner, Group, and Other, each with Read, Write, and Execute permissions. If you're changing the permissions of a CGI script, make sure that Other has the Read and Execute boxes checked. If you have any trouble, you can contact tech support through email at support@mminternet.com, or by phone at 888-654-4971.